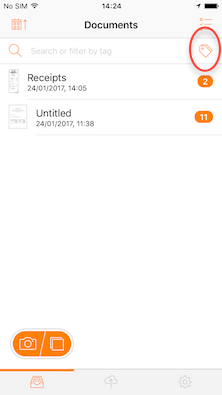 In Genius Scan, documents can be organized with tags, which are more powerful than folders: A document can be tagged with several tags and you can filter documents with tag. 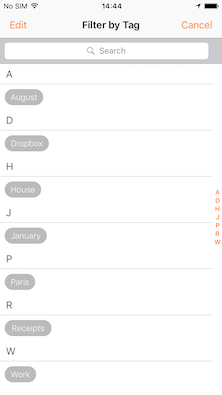 This will filter all the documents tagged with this tag. 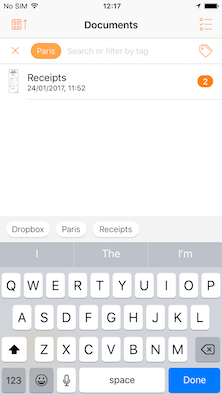 If a tag is active and you create a document, the document will be tagged with that filter. 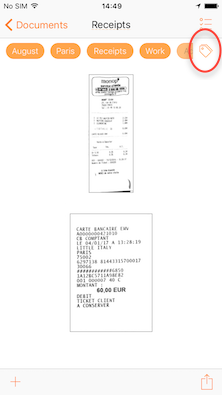 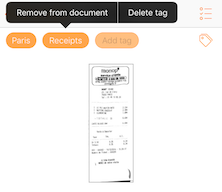 It can be useful for example if you want all your scans to be tagged "Paris" during your trip to Paris. 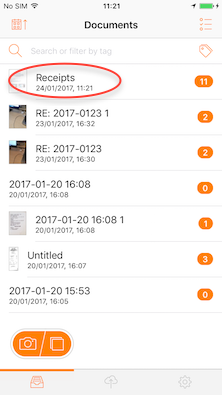 You can pick a tag and Genius Scan will show you the documents tagged with it. The tags in orange are already added to your document. 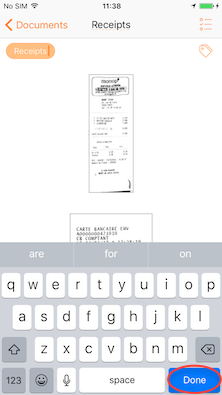 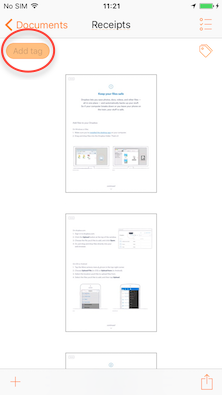 You can tap each tag to add it to your document or remove it from your document. 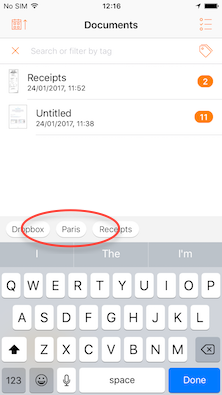 In the below screenshot, the list only shows documents that are tagged "Paris". 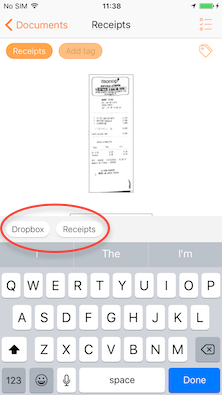 Tags are saved into keywords metadata when you export your documents as PDF. 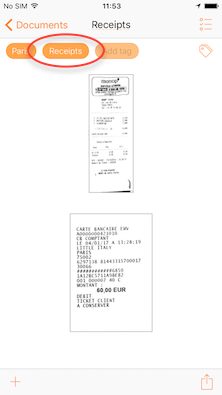 You can view and edit your tags on your computer by opening the Properties dialog box in your PDF reader. Some operating systems allow you to search and sort your document by PDF keywords, but third-party utilities like FileMeta and PDF Property Extension might be needed on Windows.